Dr. Sylvia, our Harvard-trained Medical Director, was chosen to conduct another clinical study for the review of the latest CoolPetite handpiece in Singapore. Recently, she was also chosen to conduct the study for CoolAdvantage Plus applicator for debulking larger areas. As the only Key Opinion Leader (KOL) for CoolSculpting in Singapore chosen by Zeltiq/Allergan, Dr. Sylvia is passionately committed in increasing and improving evidence-based materials that are lacking in the aesthetic industry. With her long-track record of expertise in the medical field and having published over 100 scientific articles in peer-reviewed medical journals, Dr. Sylvia is confident that scientific studies in this field will provide systematic evidence on the efficacy and safety of medical aesthetic treatments. Seven participants were assessed and the number of cycles were based on the area to be treated such as four cycles for the abdomen and flanks, two cycles for inner thighs and two cycles for the upper arms. Two participants expressed noticeable improvements one month after their treatments. The final evaluation phase will be on the 3rd month post photo taking session to determine the fat reduction efficacy. However, fat reduction may still increase over time as the body continues to flush out dead fat cells naturally. The side effects immediately following the treatment included tingling, numbness, swelling and reddening of the skin which subsided after a few days. 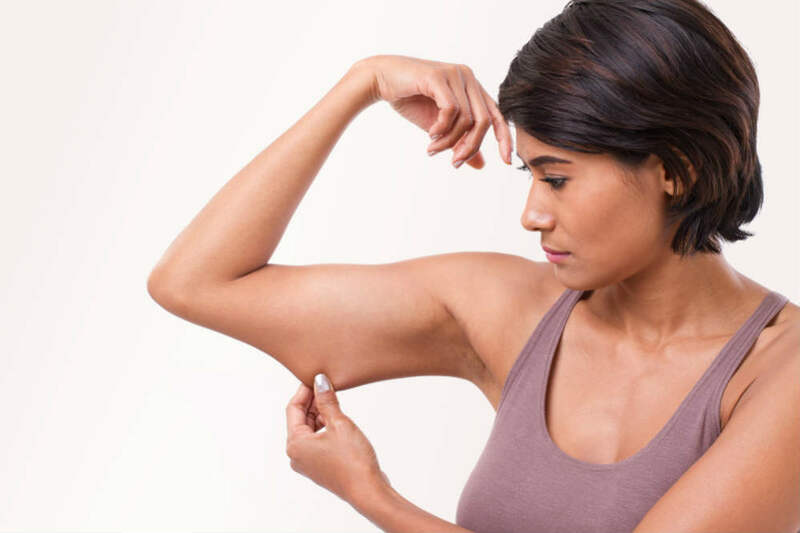 The upper arm with its delicate structures is one of the most challenging areas for fat reduction. Several exercise routines are available to build muscle and tone the arms, however, none of it will be able to ‘remove’ the fat. With the latest advancements in technology, CoolSculpting has the solution to treat the upper arms safely and effectively with the latest FDA-cleared CoolAdvantage Petite Applicator. The CoolAdvantage Petite or “CoolPetite” treats the upper arm in just 35 minutes and comes with two interchangeable contours customized to treat the unique shape of the upper arm area. CoolPetite uses the same non-surgical, clinically proven Cryolipolysis technology that reduces unwanted fat by gently freezing it to a point of natural elimination resulting in a reduction of the fat layer. Once the treated fat cells are gone, they are gone for good. CoolSculpting’s controlled cooling technology, Cryolipolysis, has been clinically-proven and US FDA-cleared to non-invasively remove fat without surgery or downtime. The procedure is safe with minimal to no discomfort and is a suitable treatment for individuals who are looking for non-surgical option to remove stubborn bulges of fat deposits that are resistant to diet and exercise. 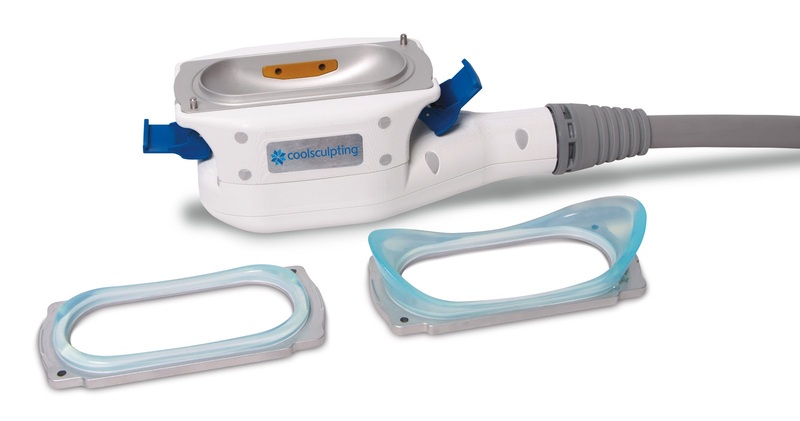 However, CoolSculpting is a technique dependent procedure. Consulting a CoolSculpting Certified clinic and aesthetic doctor ensures that you will receive the optimal treatment. At Cutis Medical Laser Clinics, we are a CoolSculpting Certified Clinic where Dr. Sylvia Ramirez, our Harvard trained Medical Director, and our team have undergone a rigorous training and certification process to achieve optimal results with CoolSculpting . To find out if you are a good candidate for the CoolSculpting fat freezing procedure, please contact Cutis Laser Clinics in Singapore to schedule your consultation with our aesthetic doctor and US Board Certified physician, Dr. Sylvia.